I am sad to say that I am getting very close to the end of my fresh figs. The two trees that I pick from are just about finished and I may have just one small bowl left to pick in a day or so if the heavy rain storm last night hasn’t already knocked them off the trees. I canned 8 jars of a fig and apple combination yesterday that I use to make tarts with so next season when we return to Umbria I’ll have my filling ready to make tarts for our farmhouse guests. 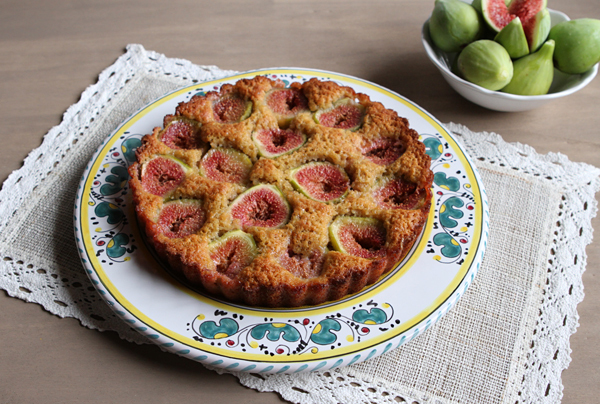 After making my canned tart filling, I had 8 nice sized figs leftover (after I gobbled up 4 raw), so I decided to throw together this easy fig cake recipe. This cake is a thin one, more like a crustless tart really, though it is very moist. The cake uses minimal white flour, and uses mostly almond meal for the batter which is something I am in favor of. I enjoyed a slice of this cake for breakfast, but it would also be great served with a dollop of whipped cream for dessert. 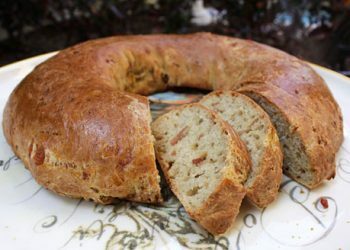 I originally made this recipe using Italian prune plums and found it delicious, but since the original New York Times recipe used fresh figs, I decided I wanted to try that version as well and it really is the perfect combination of figs and almonds. Since this cake is so moist, if not enjoyed the day it is made it is best stored covered in plastic wrap in the refrigerator. Preheat oven to 375 degrees F. and lightly grease a 9-inch fluted pan. 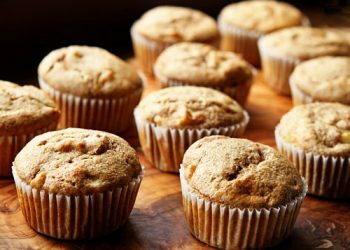 In one bowl, toss together the almond meal, sugar, all purpose flour, baking powder, cinnamon, and salt. In another bowl, whisk together the eggs, butter, and almond extract. Dump the dry ingredients into the wet, and whisk just until mixed. Remove the stem from each fig, then cut in half. 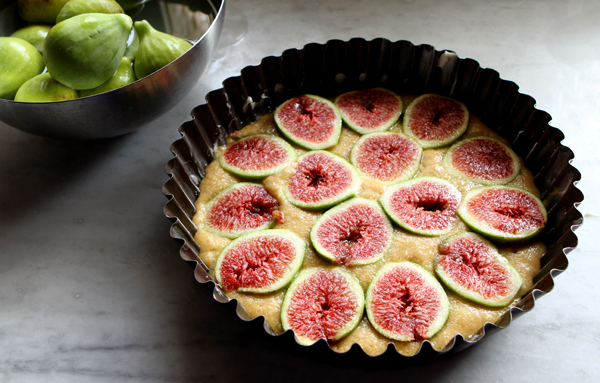 Arrange the figs cut side up over the batter, pushing the figs gently into the batter. 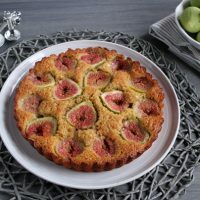 Sprinkle the remaining 2 tablespoons of sugar over the figs, then bake for about 30 minutes or until the cake is set in the center. Where do I purchase almond meal? I never heard of it. Donna, you can buy it at any specialty or health food store. My local grocery store sells it in the organic grocery section as well. If you cannot find it, you can make your own by putting blanched almonds in a food processor until they are fine and powdery. This looks gorgeous! We’re running low on figs over in Pisa too but I may have to try and get enough together to have a go at this before they’re all gone! What a beautiful cake! I make something very similar in summer – with nectarines and raspberries, one I learned from a dear friend who grew up in France. 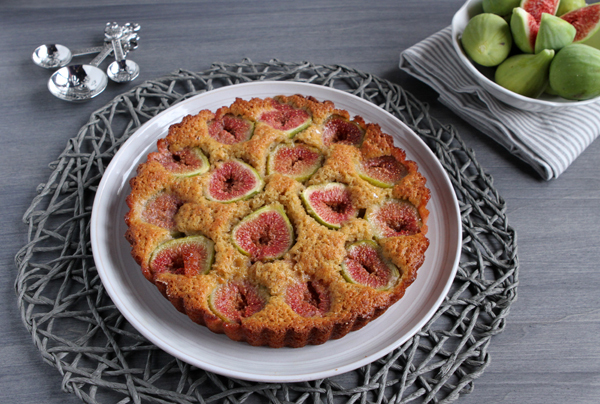 Sadly I never make fig cakes as I seem to be the only person I know who has no fig tree. Now, I ask you, how the heck did I ever come to such a fate? I told my husband that with our new landscaping must come a fig tree, a mature fig tree, if you please! I look forward to trying this recipe. 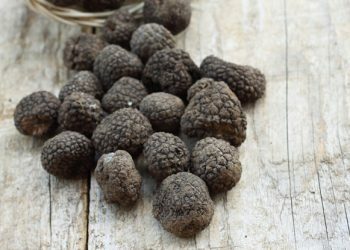 Buona domenica a te! Adri, it was a very easy cake to make. A rustic cakes that take just minutes to throw together but that taste great…….exactly what I like to make for our farmhouse guests! I am thinking your farmhouse guests are very lucky people. Deborah, I have to say that the shots you posted this summer have made me realize I need to travel more. 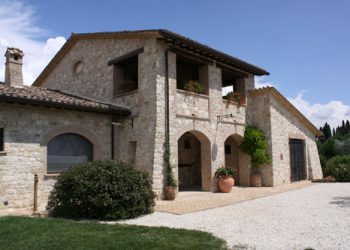 Your farmhouse seems like a dream vacation to me. Thanks Adri, our guests over the past 5 years have been the best and we are fully booked already for 2014 with more than half those guests return ones. 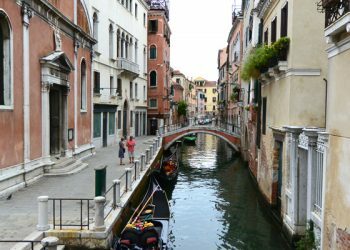 Italy is wonderful, especially when the weather is good! 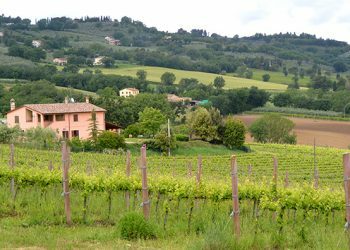 Ciao Deborah , Recently I have moved to Puglia and I wanted impress my Italian friends at bbq . I made this today with fresh picked figs. So simple, and it came out superb! Only ingredient I didn’t have was the almond flavoring so I left that out. I used raw sugar instead of white, and I replaced the white four with a gluten free flour mix. It looked and tasted just beautiful. Thank you! 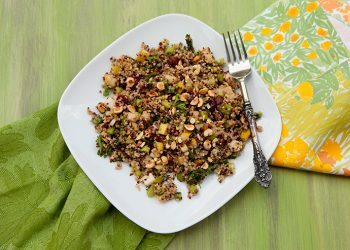 Hi, what type of sugar do you use in this recipe? 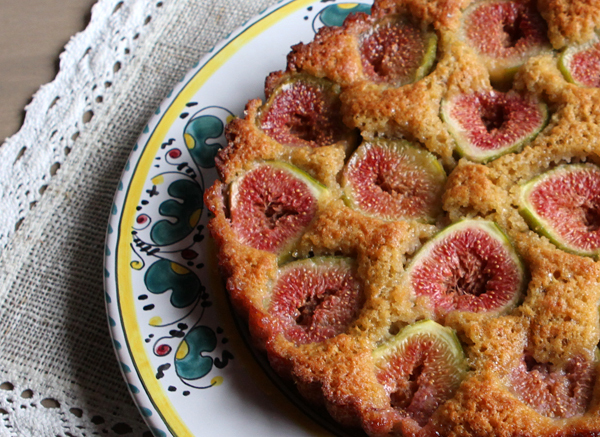 Just the texture of this cake and the fact that it has figs in it has sold me. You did a great job. No doubt this is delicious. Thanks for sharing. I think it should be fine although the figs may be wet. Buongiorno. Can the almond extract be left out or will it lack in flavour? I don’t have any. Would I be better off buying some? If you have vanilla extract you can use that.